​​St. Lucia Airport Transfers From (UVF) Hewanorra International Airport to Rodney Bay typically costs USD $75 for parties of three or less. For larger parties, a private St. Lucia airport shuttle will cost around USD $20 per passenger. ​We know that life can happen quickly. If you need to cancel your airport pickup, just let us know at least 24 hours in advance. Cancellations should never take a chunk out of your travel budget- and we will cancel your taxi reservation free of charge. When you book with St. Lucia Airport Shuttle, you will find that the price quote we provide includes everything. There are never any hidden charges for taxes, tolls, or anything else. We work hard to provide the true lowest St. Lucia taxi prices! Welcome, and thanks for visiting St. Lucia Airport Shuttle, your premiere destination for St. Lucia UVF Airport transfers to and from all locations. Offering the best rates. We have worked hard to revolutionize the way people look at airport transfer service on the island, and by doing so, we have permanently changed the face of St. Lucia airport taxi services. We take great pride in offering low prices while still providing each and every client with impeccable, friendly service. Looking for the best rate for a private airport transfer to Royalton St. Lucia Hotel? Whether you are looking for a round trip or one-way quote, you will find that our private hotel taxi service offers the best St. Lucia transportation at the best rates on the island. There are so many things that set St. Lucia Airport Shuttle apart from other companies that provide airport transfers in St. Lucia. For example, all of our drivers are native to the island and are familiar not only with the winding roads, but with the scenery and the many sites along the way from the UVF airport to or from major resorts Almond Morgan, Rodney Bay, Rendezvous, Windjammer, Marigot Bay and rental villas. If you want to make a stop on your way to your destination to take pictures or just want a friendly guide who can show you the many highlights of our beautiful island without breaking your budget, we are easily your top choice. Many of our customers have become lifelong friends with our drivers, and this is certainly something that we say with tremendous pride. Our amazing drivers aren't all that make us unique, however. Our company is quite renowned around the island and around the world, with over 2,000 excellent reviews. Safety is always our number one priority, both in the way we regularly maintain our vehicles and in the fact that our drivers are so respected that parents often rely on us to pick up and transport their children in our St. Lucia taxi from the airport. We are number one in our sector for service, and we reached that goal by truly working every moment to be the very best St. Lucia airport taxi transfer service on the island. You will find that all of our vehicles are air conditioned- a very important factor to consider when travelling to the Caribbean. Another excellent thing about our taxi from St. Lucia airports is that our pickups are guaranteed. If you tell us that your plane is arriving at 8PM, you can rest assured that a driver will be there before you land and will be holding a sign with your name on it when you clear customs and are ready for your St. Lucia airport transfer. Cancellations with advance notice are always free, and we service both Hewanorra International Airport (UVF) and George F.L. Charles Airport (SLU). We also service all of the island's resorts, as well as private rental villas, hotels, or anywhere else you would like to go. At St. Lucia Airport Shuttle, we take immense pride in offering the lowest prices on the island. 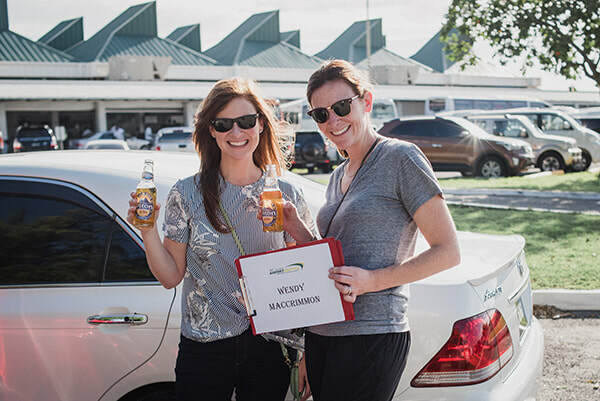 Better still, all of our drivers are certified island guides, which means that they can help you with everything from St. Lucia airport transfers to booking a hike up the majestic Piton Mountains or a tour of the world's only drive-in volcano. There are a few things you should know about St. Lucia taxi service, however, that will help you ensure that you have a safe and affordable trip. One important thing for visitors to the island to know is that taxis here on the island are NOT metered. This means that you should always get a quote before booking or getting into a vehicle. Real St. Lucia taxis are easily distinguishable, as they have a TX license plate, and here at St. Lucia Airport Taxi, we strive to offer not just competitive rates, but the lowest rates you will find on the island- without compromising comfort or quality. Here at St. Lucia Airport Transfer, we see no reason why luxury and excellent service need to be expensive. Why should you have to spend a great portion of your vacation money on transportation when you have such a majestic island awaiting? The simple answer- you shouldn't. We believe in keeping our fares low while keeping our standards of quality and greatness higher than that of our competitors. We also believe in delivering our customers exactly what they want. If that means that you want to go sightseeing on the way to your resort, simply let your driver know and he or she will take you to some of the many highlights St. Lucia has to offer. You'll know your driver as soon as you step out of the airport, as they will be waiting with a sign bearing your name as well as a friendly smile. You needn't worry about loading your luggage into the vehicle, either, as our drivers are more than happy to provide this service for you. It's not just low fares and friendly drivers that help us exceed the expectations of our customers, however. We also work hard to make sure that every aspect of St. Lucia Airport Shuttle is designed with the client's best interests in mind. For example, if you let us know as soon as possible that your flight has been delayed or cancelled, we can reimburse any fees that you have paid. In closing, there are a few final things you should know about St. Lucia Airport Shuttle and the island itself. For starters, tipping your driver is always welcomed, but never required or expected. Second, the sights you see on your drive from the airport, as well as the cost, depend on the airport at which you arrive. The ride to Soufriere is about 30 minutes from Hewanorra International Airport. Gros Islet is about an hour and fifteen minutes from Hewanorra and 20 minutes from SLU, while Castries is located about an hour from Hewanorra and only five minutes from SLU. While the drive is longer for international travelers coming in to Hewanorra, it also provides them the chance to see much more of our beautiful island. It is also worth noting that all of our vehicles are fully insured and regularly serviced and inspected. Due to its location directly between the Atlantic and the Caribbean, there is never a bad time to visit St. Lucia. In the winter, the island offers the perfect getaway from cold temperatures while also offering lower costs at many of the biggest destinations on the island. Autumn tends to provide lower airfare, while spring and summer are also truly beautiful times to come to the island. There are ten airlines that service our airports, including JetBlue, Air Canada, US Airways, American Airlines, Delta and more.